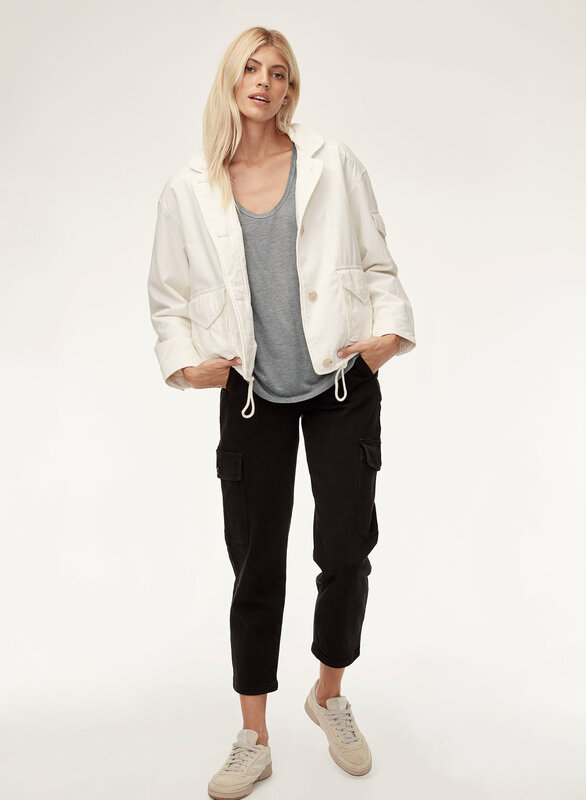 Styled with mila pant and alyona jacket . This version of the Valmere is made with a soft, slinky jersey. 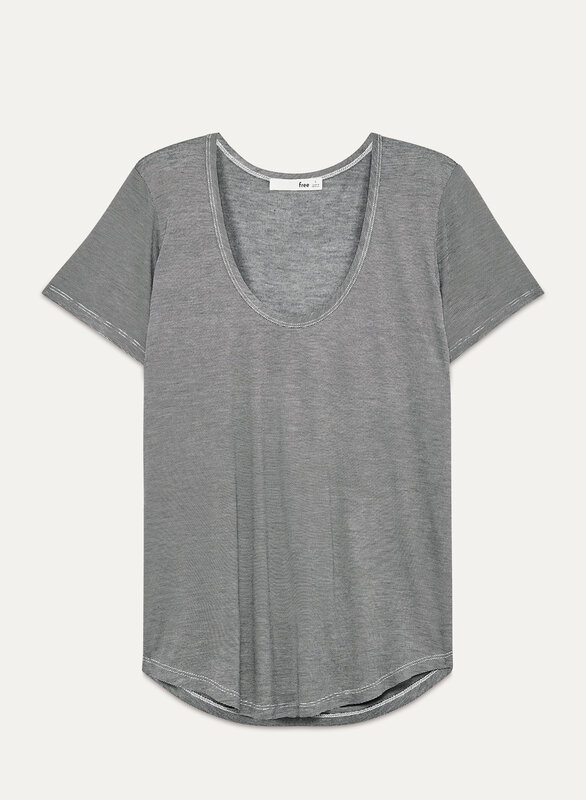 The classic scoopneck is a staple for any wardrobe. 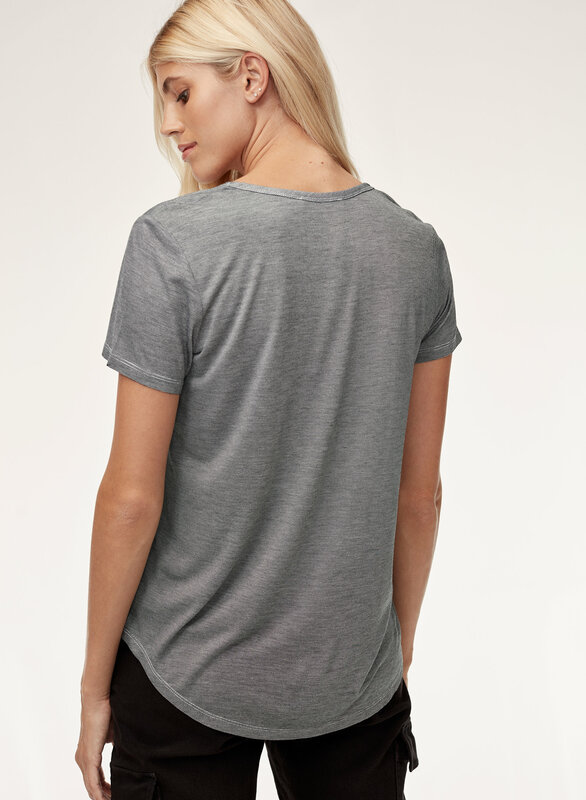 Flattering but loose-fitting t-shirt with a soft material. The white is quite sheer though, making this a shirt I can't exactly wear to work without layering. I also have this in black, and that isn't a problem with this darker colour. Very soft, long enough to wear with leggings! Very nice! I LOVE and live in these shirts. They fit amazingly I love them with the Daria pant. Wash and hang to dry DO NOT PUT IN DRYER! A very versatile T-shirt on its own or under a sweater. I love it’s loose design while maintaining its shape.